THERE is serious concern in Fianna Fáil at a proposal to quadruple Carbon Tax by 2030 contained in a draft report by the Climate Action Committee. The report, due to be published on Thursday, currently proposes increasing the tax from €20-per-tonne to at least €80-per-tonne by 2030. 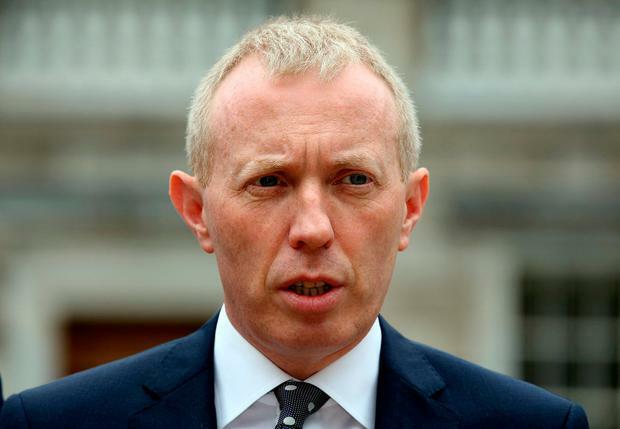 Independent.ie understands that a number of senior Fianna Fáil TDs raised concern that the cross-party committee may recommend the hike without offering a clear way for mitigating the effects on householders. A source said issue was discussed at length at the party’s front bench meeting where concern was raised that the report contains a clear pathway to increase the tax but no clear recommendations for reducing its impact on families. Among those said to have voiced concerns were Michael McGrath, Lisa Chambers, Robert Troy and John Curran. Another source said there are reservations there’s not enough in the report to in relation to alleviating fuel poverty. The party’s committee members, including communications spokesman Timmy Dooley were asked to continue to work on the wording of the report. The cross-party Climate Action Committee has been sitting in private session this evening as TDs seek to thrash out their final report. A source said the committee is to consider a compromise motion that acknowledges that further work needs to be done on how to protect people from fuel poverty in any imposition of increased carbon taxes. The aim of the compromise is to see the report published on time. A suggestion to increase in carbon tax over the next decade to €80-per-tonne is among the measures that have been considered by the committee as it prepared its report. Sinn Féin and People Before Profit members of the committee have already said they are opposing the carbon tax proposals. Options set out in the draft version for using increased carbon tax revenues include using it to fully compensate those likely to suffer from fuel poverty and using the balance for climate action funding like retro-fitting schools for energy efficiency. Another option would be to return the proceeds in a dividend to all households, similar to the ‘carbon cheque’ idea previously floated by Taoiseach Leo Varadkar. The effect of this would be to encourage households to gain from the dividend by reducing their carbon footprint. Earlier today Mr Dooley said he hoped his party wouldn’t be heading for a clash with Fine Gael on the issue. However he did say his party had a different approach and claimed the dividend idea is a “gimmick”. He said: “I think the broad principle is recognising that we have to get fossil fuels out of our economy. “We have to reduce the amount of carbon that we emit and we have to be creative about how we do that. We have to bring people with us. “What the Taoiseach is proposing is the notion that you levy a significant tax or charge and you give people a cheque back in the post. He said: “That fund then is used to assist people in de-carbonising their own lifestyles in moving away from being dependent on fossil fuels, moving towards a carbon free environment.